With the summer movie season over let's look at my top 5 favorite flicks of the summer. I didn't see every movie, I go to the theater about once a week, but I did see most of the action/adventure flicks. 1. Mad Max: Fury Road - This is the perfect action flick and one of the craziest things I've ever seen put on film. Seriously. It might make my top 5 all time. This one is best seen in a theater where all the nutty stunts and explosions can be seen close up. Be sure to wear your seat belt. 2. Ex Machina - Great movie, classic science fiction (where the science is more than just a setting, but rather integral to the story itself). A nice slow burn with the best pay off (climax) of the summer. I can't say a ton about it because it's one of those movies that's too easy to spoil. Watch it a couple of times to get all the nuance. 3. Straight Outta Compton - This is a biography of the rap group NWA. Not my usual fair but I had a lot of fun. Great performances, lots of music. This is another one that's best in the theater in surround sound. 4. American Ultra - There were a TON of spy movies this year. Too many maybe. Man from U.N.C.L.E, Kingsmen, Furious 7 (sort of), Mission Impossible and on and on. Of all the spy movies I liked this one the most. Written by Max Landis, one of my favorite writers right now, it had a nice feel, the script was fun and original and the fight scenes were brutal. It was not highly rated by critics though, maybe the critics were burnt out on all the cookie cutter spy moves coming out? I dunno. 5. San Andreas - Okay, so this one isn't a thinker and it doesn't do anything super original. However, if you are looking for that over the top effects driven shut your brain off summer movie I'd go for this one. More than Furious 7, Avengers: AoU or Mission Impossible this one was my favorite big spectacle movie of the summer. One mistake I made this summer was reading the reviews before choosing which movie to watch that week. I nearly missed out on San Andreas and American Ultra because of that. They didn't get super high critic's ratings on Rotten Tomato but they were still some of the best of the summer. Some honorable mentions this year are Kingsmen and The Duff. Kingsmen didn't make the cut because of all the other spy movies that came out, I just kinda got tired of them. Then American Ultra trumped them all with it's small focus. I'd have included The Duff but it was a February movie. It's great, best high school movie I've seen in quite awhile. I watched it 3 times. The lead actress is pretty fearless, I hope she gets more big roles in the future. I didn't include any horror movies on the list, though Ex Machina is pretty freaky. I think the best horror this summer was It Follows and maybe The Gift. The Gift is more of a psychological thriller, nice and freaky but not a creature feature or a slaughter fest. Another omission is comedy. There were a couple good ones, like Trainwreck, but it seems like every comedy is funny and then in the last act everything gets all serious. It's like you are watching two different movies. Comedies don't often rate highly with me because of that. Now there's going to be a wasteland at the theaters for a month or two before the big Oscar bait flicks hit. I'm not super keen on dramas but we'll see if I can find a few. I'll probably read more, I have a huge stack of Deadpool that needs my attention. I've not been reading much because I've been writing. Sometimes when you read a lot while writing a book you'll start to take on the style of the writer you are reading. That's no good. You want to have your own voice come through in your work, not the voice of another. I have been watching movies. First I saw the new Fantastic 4. It's not that great, the story moves along just fine but then all of a sudden the climax happens. It's pretty jarring. I hear rumors that the movie was chopped up in editing, and that's why it seems to cut to the climax so fast. Who knows what the truth is? 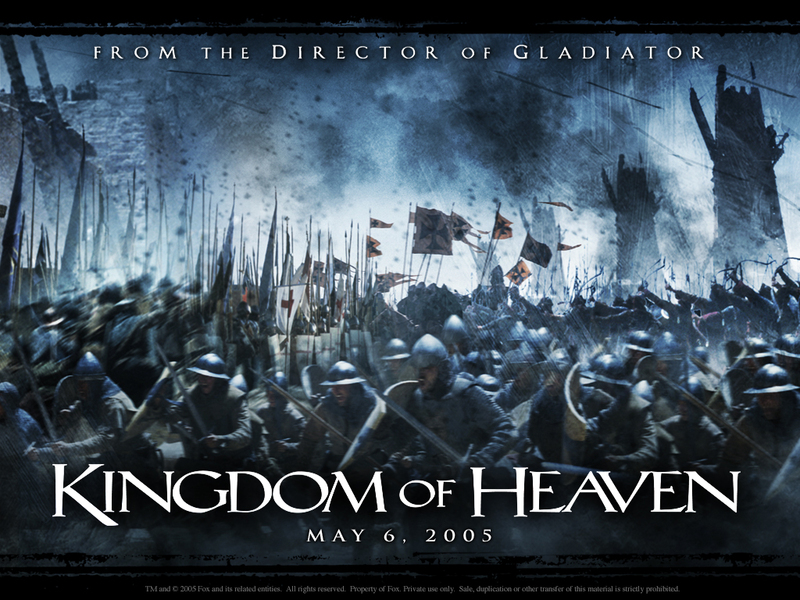 Another movie that was chopped up badly in editing is Kingdom of Heaven. A Ridley Scott epic released about 10 years ago. I liked it at the time but apparently others did not. They've since released a director's cut of the movie and it's awesome. With another hour tacked on to the running time it's over 3 hours. Three hours of movie brilliance. I recommend this movie to anyone that watched the theatrical cut and any fan of historical epics. I also recommend it to anyone wanting to see how a committee approach to creating art can often yield an inferior result. If you are writing a book or creating something there is a danger in submitting it to a writing group or a development editor, or an agent. You will get feedback, sure, but it's tough to know which feedback to ignore. When in doubt stick to your own judgment only. 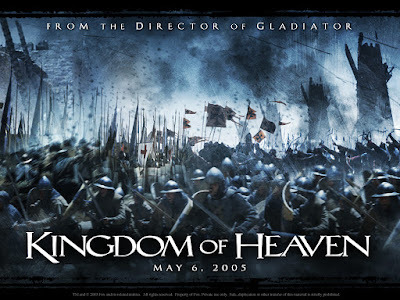 Remember the lesson of Kingdom of Heaven. Too many cooks can spoil the stew.